Like calamari? 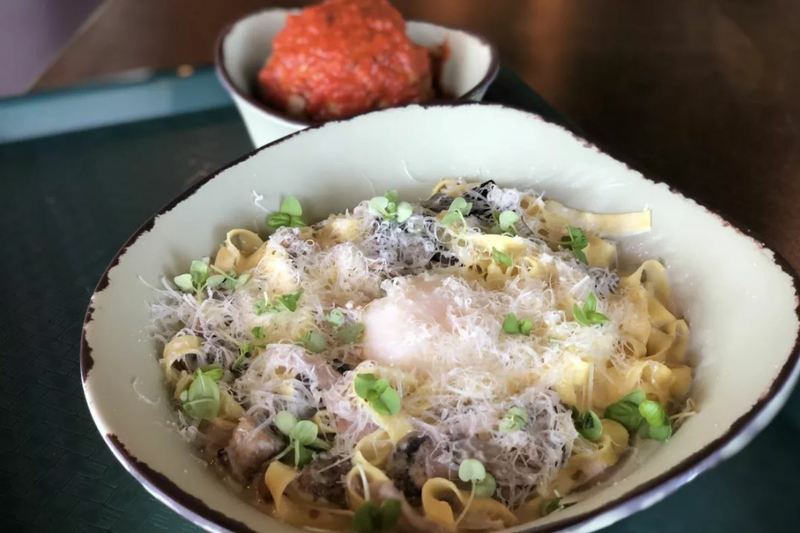 You'll like it more with truffles and Parmesan. 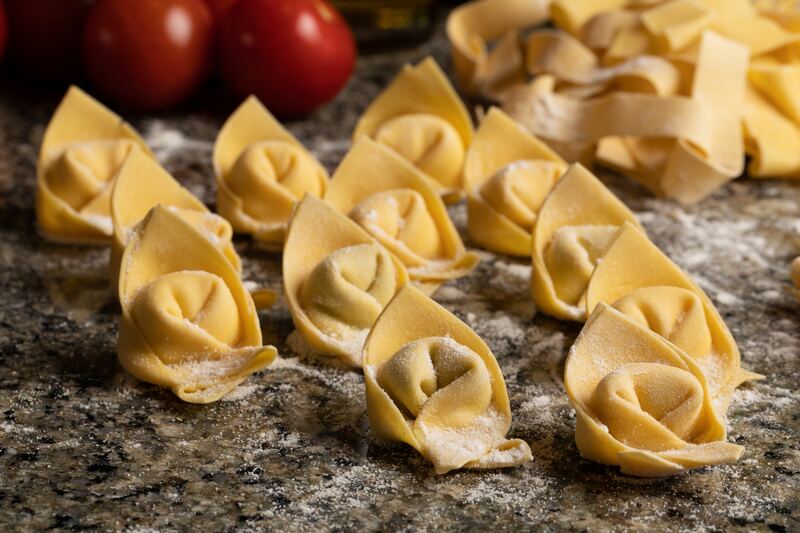 The saying “You can’t teach an old dog new tricks” cannot be applied to Damian’s Cucina Italiana. 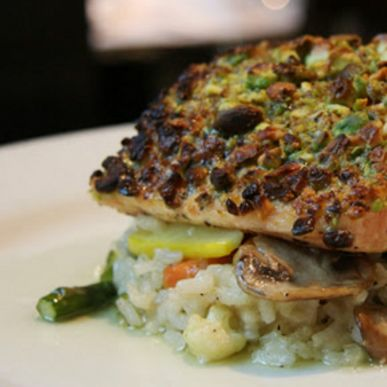 For nearly 35 years the Mandola family has been serving up traditional Italian fare at 3011 Smith Street in Midtown. But it took until now to introduce their new aperitivo (essentially Italian cocktail hour—think aperitifs) happy hour menu, packed with Italian bites and cocktails galore. From the moment you walk in you feel right at home, as the interior is quaint and clean and not at all kitschy or tacky. General manager Johnny Mandola and assistant general manager Ruben Rodriguez greeted us and they helped go over the aperitivo menu with us. We kicked off by trying a Vesper Martini composed of Bombay Sapphire gin, Belvedere vodka and Lillet Blonde. If James Bond resided in Houston, I’m sure he’d make this his drink. The bartender sent out some house-made chips tossed in rosemary and sea salt to munch while the bigger bites rolled out. 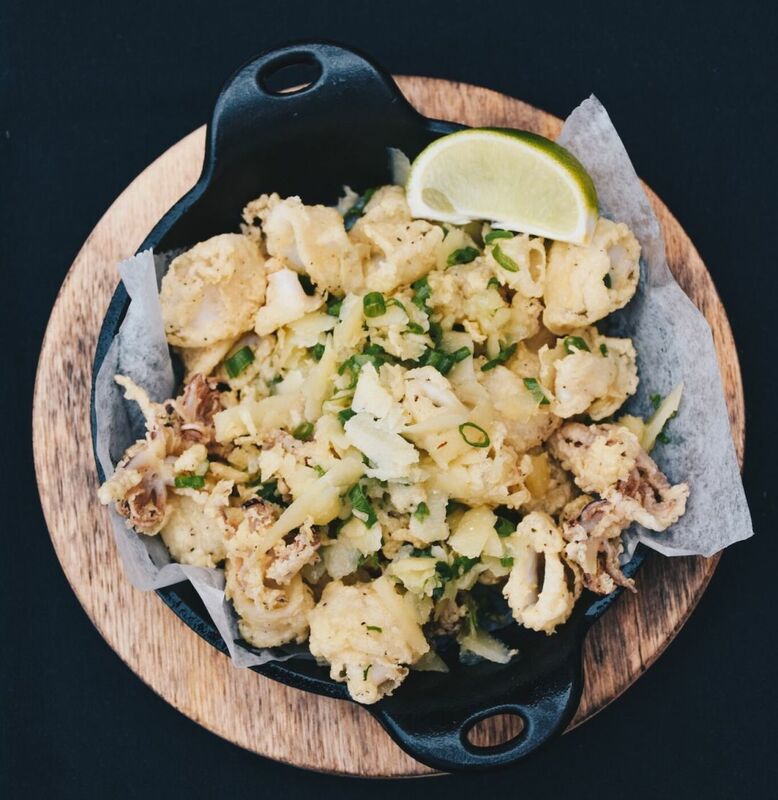 The Calamari Tartufato, crispy calamari with truffle oil and shaved Parmesan topped with green onion and lime, was an exceptional start. The calamari was crispy and not overly fishy, the Parmesan and hints of lime were savory enough that the side of marinara sauce was unnecessary. The Gamberetti di Pistacchio, Gulf shrimp covered in pistachio crust and lemon-garlic vinaigrette, was three good-sized shrimp with a flavor sufficiently "to the moon" to satisfy Ralph Kramden. The crisp crunch of each shrimp gave way to the zest that the vinaigrette added. The ultimate pièce de résistance of the aperetivo menu had to be the Flatbread di Polpetti, a flatbread topped with Damian’s famous meatballs, marinara, mozzarella, Parmesan and ricotta. 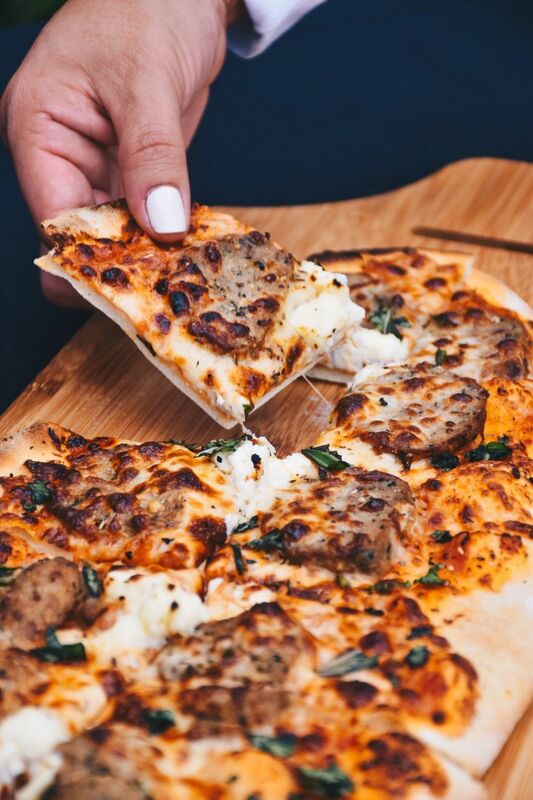 The flatbread was crunchy and soft with nary a hint of stiffness, and the two other cheeses went nicely with the mozzarella and sliced meatballs. Happy hour bites like this flatbread mean you won't need dinner. The Sicilian Cosmopolitan is an early favorite, crafted from Skyy blood orange-infused vodka, Cointreau, and blood orange puree, a combination that's not overly boozy but more than flavorful enough. The menu offers vegetarian options such as Hummus di Fagioili Bianchi comprised of cannellini beans, garlic, lemon juice, toasted pine nuts and extra virgin olive oil and pita chips for dipping. There's also the Caponata Bruschetta: eggplant, Sicilian olives and capers spread on house-made foccaccia toast, which was rather sweet and could pass as a dessert option. 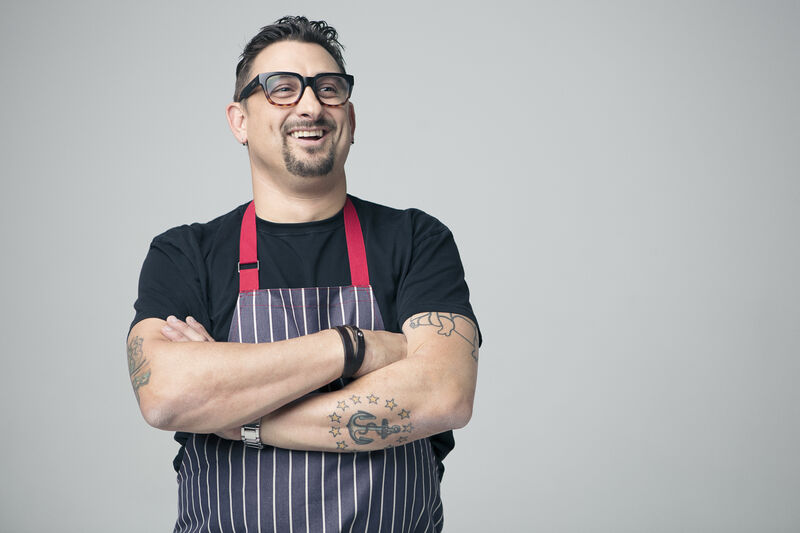 What inspired Johnny Mandola to create this menu? “For the longest time there hasn’t been anything [in the neighborhood] and now wherever you look there’s apartment complexes going up," he explains. "So we knew we were going to do this eventually, but after the hurricane, we decided it was time to bring the neighborhood together, we needed to pull the trigger on it so we could have a place for people to go on their way home. 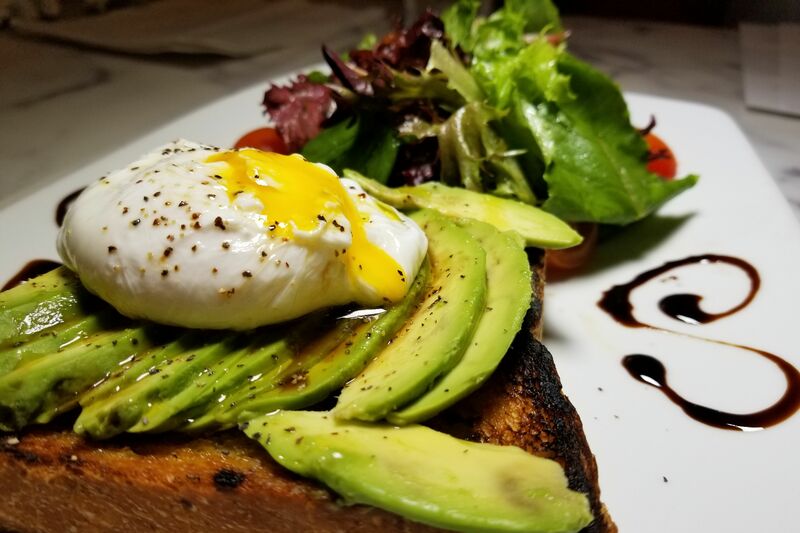 The timing was right.” Mandola is hoping to entice new clientele and surprise regulars with a new set of cocktail drinks and a food menu that’ll naturally evolve with the seasons. But there's no reason to wait to try it. The current offerings are well worth a taste. $$$ Italian 3011 Smith St.